You have been given the mission to set up a response base for the United Nations Disaster Relief Base. This is a Billion dollar project so selecting the right location is key. You will also need to select what items of equipment you will buy with your Billion dollar budget. Questions to consider about equipment. What type of hazard would you deal with most often? How would you get it to the disaster area? What important thing can't be found on the cards? Questions to consider about location? What are the main types of natural hazard? Which hazard is the most deadly? Where do most hazards occur in the world? Where do the disasters with the highest death toll occur? What is the level of development of your country? What would it's transport networks be like? How far is it from disasters? We would locate our base in Kazakhstan because it is surrounded by disaster probe areas such as China,India and Pakistan. Asia had six of the world's 10 biggest disasters last year, claiming 27,000 lives and costing 38.2 billion dollars. A lot of disasters such as earthquakes hit these areas for example in 1976 in Tangshan, China, an earthquake hit with a magnitude killing over 240,000 people. By having a base in Kazakhstan it will lower social effects such as loss of life, economic effects such as destruction of buildings which may lead to businesses being lost and environmental effects. 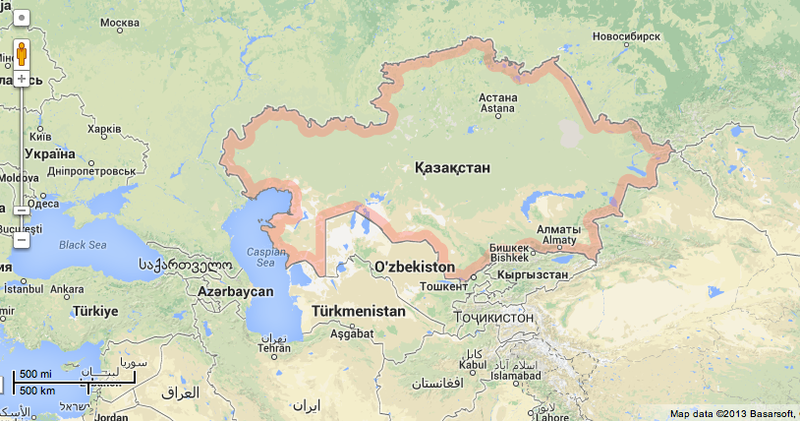 Kazakhstan is relatively disaster free. In the past 30 years, the country has only had 16 disasters with 228 deaths. It is surrounded by LEDCs which are quite vulnerable as they do not have enough money to prepare or measure when a disaster is going to happen. Kazakhstan is still a developing country so building a base here will help the country develop as the GDP of Kazakhstan is only US$198.90 billion compared to the USA which has a GDP of US$15.68 trillion. Building the base here will have a multiplying effect by creating jobs.